Our Portuguese school in Porto is right in the heart of the city within the bustling shopping and residential area near the Sao Bento train station and the Torre Dos Clerigos. The Portuguese school is located in a typical office building with modern classrooms, business center with computers for student use, and an area for students to relax during breaks. The school offers free internet services, so you can catch up with family back home when not in Portuguese classes. You have the opportunity to live with a local Portuguese host family offering you a great immersion experience and chance to learn more about the local culture and food. In additional to Portuguese classes, the school offers a wide range of activities so that you can interact with other students, explore Porto and the surrounding region, as well as practice your Portuguese skills in everyday scenarios. Portuguese Courses will focus on communication with the option for Group and/or Private instruction. Given the schools central location you will have plenty of opportunity to see the sights of Porto and put your language skills to use by talking with locals while enjoying daily life in one of the more interesting cities in the world. The Intensive Portuguese course is available for all language proficiencies with specific start dates for absolute beginners. The course will focus on listening comprehension and speaking abilities to devlope your overall Portuguese conversation capabilities. Each lesson is 50 minutes in length for a total of four hours each day with breaks included. The instructors will utilize a full immersion course curriculum that integrates modern media as visual aids to help supplement instruction to enhance the immersion process. This Portuguese course builds on the Standard Group Course with the addition of 2 lessons each day that are focused on practical conversation for the added opportunity to communicate in everyday scenarios for further development utilizing the formal language skills developed in the earlier lessons. Private Lessons are customized to your individual needs and to your specific field if required. All levels can take private instruction added to group lessons or standalone. This is the quickest means give the one on one perspective with the instructor. A great intensive Portuguese course. Start of your day by participating in the Group 4 lessons per day course. Follow that up with an additional 1 to 2 private classes in the afternoon. Use the private Portuguese classes to cover specialized topics if you like. Your Portuguese classes will be in the Group 4 format. Then after classes 2-3 times per week learn how to surf. This region of Portugal is famous for the wines produced. Head out with guides to visit the various wineries in the region. Your Portuguese class portion is the Group 4 option. Classes start on any Monday for all levels except Absolute Beginners. Housing arrangements will start on a Sunday and end on a Saturday, with Friday night includes at the end of your program. The school will be closed for any public holidays with no Portuguese courses offered on these select dates. 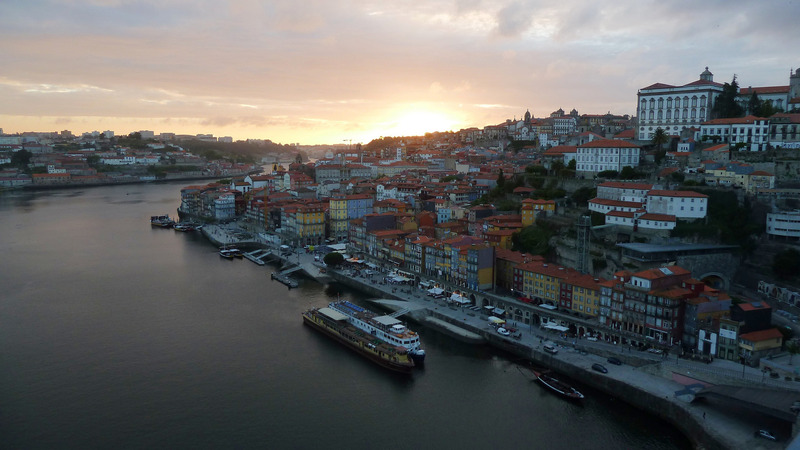 The majority of our students choose the host family option while studying Portuguese in Porto. The host mothers are quite welcoming and the family environment provides a great means for Portuguese Immersion. Host families will provide you with breakfast or half board (includes dinner), cleaning service of your room every week and new linens every other week. Host families are generally 15-30 minutes by walking distance or public transportation with preference given to advanced bookings. Students can put forth their preferences for family makeup and other aspects at the time of registration, which are subject to availability for the requested dates. We can arrange private furnished apartments based on your individual needs within close proximity to the Portuguese school in the city center. Contact us with your personal needs and dates to check availability and pricing. You are welcome to book your own hotel in the area and we can arrange the courses. We can provide hotel suggestions upon request.